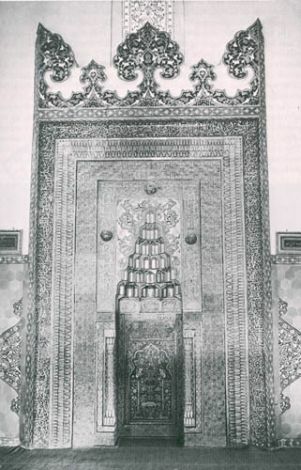 Funerary structures, turbes, has its roots in central Asiatic traditions. Most of the earliest Anatolian tombs are located in north-eastern Turkey. 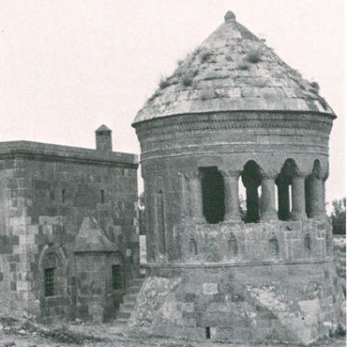 Two turbes from the 12th century are of Melik Gazi and Haci Cikrik in Niksar, with square chambers and tetrahedral caps. 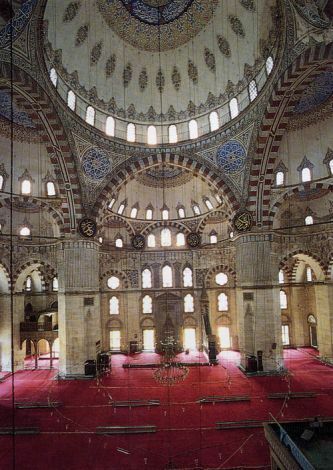 Examples from early Anatolian turbes as wells as later Ottoman versions are provided below. They are built as memorials to the dead and made to be viewed from the outside, not to be entered but approached and circumambulated. Some actually have an enclosing pathway around the monument to allow for the devotion of pigrims paying their respects and praying. It is a practice to visit their tombs, particularly on holy days. This custom led to the emergence of independent structures. Usually these tombs are in the courtyard of the mosque or are part of a kulliye complex. Many forms of art are brought together in these structures, producing many exceptional buildings.